Who We Are — Angel, Johnston & Blasingame, P.C. Angel, Johnston & Blasingame, P.C. About Angel, Johnston & Blasingame, P.C. Chris Angel, Darrel Johnston, and Steve Blasingame founded Angel, Johnston & Blasingame P.C. in 1991. Evan Blasingame joined the firm as a partner in 2015. Our firm has grown into a well respected partner in the Chickasha community and the greater Southwestern Oklahoma area. In 1980 Chris moved to Chickasha, where he began working with a CPA firm that he acquired in 1984. He is a graduate of Oklahoma Baptist University, became a CPA in 1979 and is a member of the Oklahoma Society of Certified Public Accountant. Directly out of college he worked in the audit department of an international accounting firm. Chris has been involved in all facets of the firm. But currently, he is focusing all his efforts on municipal auditing and county government consulting. He and his wife have been married for over 35 years and they have three adult children and four grandchildren. Darrel joined AJ&B in 1984. Prior to joining, he worked as a computer consultant for an international accounting firm. He is a graduate of Southwestern Oklahoma State University and obtained his CPA license in 1984. Darrel's area of practice include personal, corporate & partnership taxation and school auditing. In addition, he currently serves as treasurer for several school districts. He is a member of the Oklahoma Society of CPA's. He and his wife have been married for over 30 years and they have two adult children. Steve has been with the firm since 1991. He is a graduate of Oklahoma State University and obtained his CPA license in 1986. Steve's area of practice include personal, corporate and partnership taxation, governmental auditing and trusts and estates. He is a member of the Oklahoma Society of CPA's. He and his wife have been married for over 30 years and have two adult children. Evan joined AJ&B in 2012. He is a graduate of Oklahoma State University and obtained his CPA license in 2014. Evan specializes in personal, corporate and partnership taxation, and governmental auditing. He is a member of the Oklahoma Society of CPA's and the Chickasha Rotary Club. He also is a recipient of the 2017 Trailblazer award from the OSCPAs. He and his wife live in Chickasha, OK and have two sons. Cameron joined AJ&B in 2017. He graduated from Oklahoma State University with a bachelors degree in accounting and from the University of Oklahoma College of Law with a law degree. Prior to joining the firm, Cameron worked for the Internal Revenue Service's Office of Chief Counsel as a staff attorney. Cameron is admitted to practice law in the State of Oklahoma. Additionally, he is a licensed CPA in Oklahoma. Kristine is a Certified Public Accountant who has worked for the firm since 1988. She has a degree in accounting from the University of Science and Arts of Oklahoma and is a member of the Oklahoma Society of CPA's. She specializes in individual, corporate and partnership taxation and governmental accounting and auditing. Kristine and her husband live in the Agawam area and have one adult son. Regina is a Certified Public Accountant. She received her Bachelor of Accounting degree from The University of Science and Arts of Oklahoma. She has been with the firm for over 20 years, and she specializes in preparing individual and corporate tax returns and school audits. Regina serves on the YMCA council. Regina and her husband live in Chickasha and have one daughter. Shelly is a Certified Public Accountant and a member of the Oklahoma Society of Certified Public Accountants. In her accounting career, she has worked at four different CPA firms and has been a member of our firm for over 15 years. She is experienced in all areas of the firm, but she is now fully dedicated to providing municipal auditing services. She has two adult children. Terri is a CPA and has been with the firm since 1993. Her areas of practice include small business, trust, partnership, and corporate taxation. She also has experience working with tax issues relating to clergy. Terri lives in the Chickasha area with her husband and four sons. Dana Collins is a Certified Public Accountant. She received her Bachelor of Accounting degree from Oklahoma Panhandle State University in Goodwell, OK. Dana has worked for AJ&B since 2013. 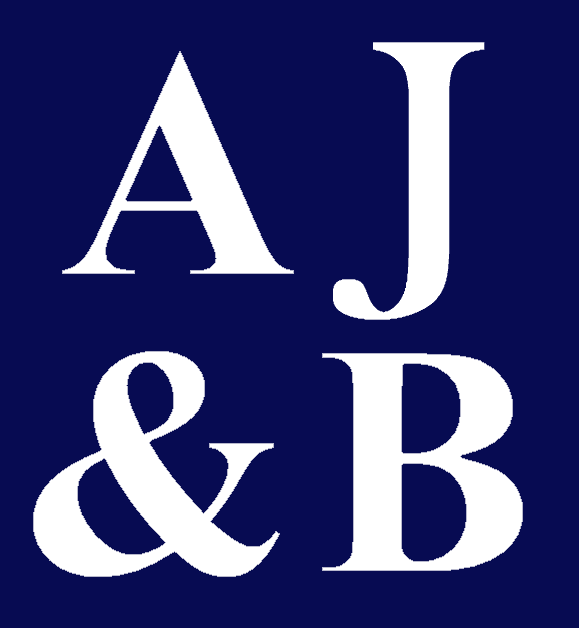 Prior to joining AJ&B, she worked for twelve years at a firm in Norman. Dana specializes in individual and corporate tax return preparation and school audits. Dana and her husband, Richard, live in Tuttle, OK. They have been married for over 25 years and they have 2 daughters. TJ joined AJ&B in 2005. She came to Oklahoma to serve in the Oklahoma National Guard while attending school, after serving four years in the Army. She specializes in Agreed Upon Procedures for small towns, individual taxation and governmental audits. TJ is also the current secretary of the Chickasha Kiwanis club. Pat is a business management graduate from Oklahoma Baptist University. She has a wide range of experience with our firm. Prior to joining our firm she taught English for several years at the Chickasha High School. Currently, she is dedicated exclusively to providing municipal audit services. She resides in Chickasha with her husband of over 35 years and has three adult children and four grandchildren. Laura joined AJ&B in 1999. She is a graduate of Southwestern Oklahoma State University with a BS in Accounting. Laura specializes in general bookkeeping, payroll processing and payroll taxes. Mandy joined AJ&B in 2004. She is a graduate of Oklahoma State University with a Bachelors in Accounting. Mandy focuses mainly on treasury work for schools. She resides in Chickasha with her husband Seth and two children. Jennifer joined AJ&B in 2005. She graduated with a Bachelor of Accounting from Cameron University in July 2010. She focuses on general bookkeeping, payroll and payroll taxes, and treasury work for schools. Jennifer grew up in Chickasha, OK. She is married to Thomas and has one son, Gabriel. Lana started with AJ&B in 2014. She graduated with a bachelors of accounting from the University of Maryland and is currently preparing for the CPA exam. Lana focuses on governmental auditing and personal and partnership taxation. Prior to AJ&B Lana, her husband Morgan, and son Townes, enjoyed residing in Landstuhl, Germany while stationed there with the US Air Force. They currently live in Elgin, OK.
Derrick joined our firm in 2015. Derrick on school audits and helps in the preparation of tax returns. He is a graduate of Oklahoma State University and holds a bachelor's degree in accounting. Samantha joined AJ&B in 2016. She works with general bookkeeping, payroll processing and treasury work for schools. Samantha grew up in Chickasha and now lives in Ninnekah with her husband and son. Jonathan joined AJ&B in 2016. He is a graduate of East Central University with a bachelors degree in accounting. Jonathan and his wife, Kalli, reside in Marlow, OK with their dog and two cats. Jonathan is currently preparing for the CPA exam. Brenda is the Administrative Assistant for AJ&B. She has been with the firm since June 2014. Brenda and her husband, Rick, currently live in Moore, Oklahoma. JoAnn joined AJ&B in 1996. Her position at that time was to prepare 1099's and W-2's for our clients. This position is a part time position as she works during tax season assembling tax returns and calling clients to pick them up. JoAnn is also our office billing clerk. She and her husband Ron live in Chickasha. They have three daughters and twelve grand children. Angel, Johnston & Blasingame, P.C., is a full service accounting firm that provides a wide range of services to individuals and businesses in a variety of industries.